The first thing you'll notice is that this is not a lock. However, it is a station operated by Parks Canada. The swing bridge is an unequal arm, center bearing timber swing bridge (aka, somewhat inaccurately, a Kingpost Truss Bridge), one of only four remaining on the Rideau Canal. The remainder of the bridge is a long narrow steel bridge with wooden decking. The bridge is 148 m (485 ft) feet long and was originally built in 1887. 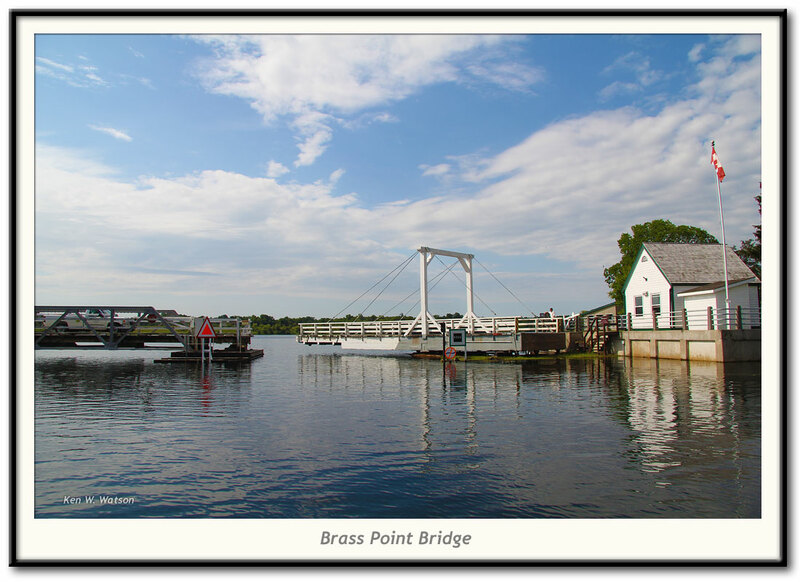 The wooden spans were replaced with steel spans in 1903 and new cribbing was installed in 1978. This is the only remaining bridge of this type (multi-span with a swing bridge) on the Rideau Canal. There used to be similar bridges at places such as Rideau Ferry, Becketts Landing, Kars, and Manotick - those have all been replaced by fixed high level bridges.